28 things to be thankful for, for 28 years. 1.The highway. God bless the human being who took the God idea of a highway/freeway and turned into a reality. You have helped billions of people, whoever you are, Thank you. 2.The hair on my head, for keeping my head warm and adding to my authenticity. 3.For the people who have made it possible for others to know the truth about “natural”, “GMOs”, scientific recreations of so called healthy food… thank you. 4.For the ability to speak, to have a voice. 5.For a brain, fully functioning. 17.For my parents, no matter what, God made you my parents for a reason and that, I am thankful for. 18.For life. I used to to think this world would be better off without me, but my life is needed to change the lives of others. I adore my life. 20.For God’s hand of protection and His angels. 22.For Zumba! May God bless Beto, the founder of Zumba, because he has brought light to so many lives thru Dance. Thank you. So. So. So. So much. 23.For my health journey- more than just my health, but the road to discover and accept self, and the ability to help others get on their journey. 28.THE BEST FOR LAST- for the people in my corner during my health journey, (and some way before it began.) For those that have rooted for me, encouraged, that remind me of the important things, for your friendship, for your TIME, for your EARS (listening to me sometimes endlessly talking! ), for your life, for your patience, for your smiles, your hugs, your laughs, advice- Shara, Tony, Sonia, Edilcia, Linda, David, Vanessa, Julie, Adriana, Grace, Sam, Elisa, Pati (step mom) & Grammy (Donna Forbes). Thank you. Yet do we really feel thankful when the words leave our mouth? Is joy intertwined between those words? Is our heart absent of complaint? Is there depth to our words, do our actions in life prove our thankfulness? Do we move in faith, because we’re truly thankful? These are just the simple things we expect to always work for us. Our life and the lives of our loved ones are miracles, everyday. For the oxygen in the air. The simple things, but are needed. For freedom, and opportunity of eternal life in Heaven. For countless second chances and patience. Let us not forget all that God has provided while we wait for our prayers to be answered. Our God is a good God, and He always comes right on time, with more than we ask for- I am thankful for my now, while I wait for my future, because everyday is truly a miracle. 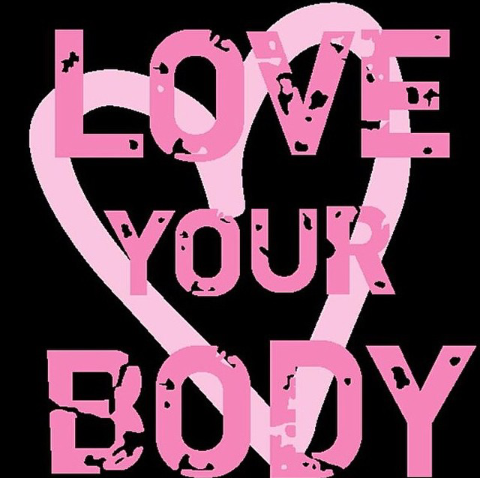 Our body matters, our body is a gift God gave us, our body is like a house for all that is within us, our body is sacred and should not be treated with disrespect or sabotage. I pray that the reason why you choose to lead a healthy lifestyle IS NOT because society is telling you that you’re fat. Frankly, society can swallow it’s own judgment. Why? Because choosing to lead a healthy lifestyle isn’t about anybody else BUT YOU. If there is ever a moment that you should act selfishly, it should be to care for your body, because you DESERVE IT. Because YOU’RE WORTH IT. Because love cannot abound to others, truly, until you can act out your love to yourself. Love is an action, do for yourself because you love, respect, cherish, and believe in yourself. Words are just like a breeze passing us by, so saying and doing are two comepletely different things. 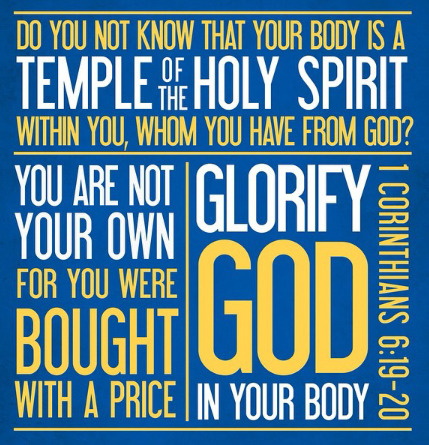 Our body is a temple. Envision your house- do you allow just anything or anyone to enter it? Do you prefer that your house is clean, organized and presentable? I can imagine that like myself, you do not allow just anything or anyone into your house, and you do prefer that your house is clean and presentable. So goes the same for our bodies. Our body is a keeper of what keeps us alive- think about it- heart, brain, lungs, stomache, kidneys, liver, bladder, intestines, bones, blood, muscles, etc etc. If we put “allow” bad things into our body, are we protecting those things which keep us alive or putting them in harms way? Serious way to think about our bodies, huh? Although some deceases are genetic, we can still do our part by using wisdom with what we eat. Our bodies need the proper nutrients in order to function at it’s maxium potential. Eating healthy isn’t easy and it’s not always fun, and it’s OK to indulge sometimes, but what we do 80% of the time is what matters most. Find something that works for you that keeps your body moving- a body in motion promotes longevity. If you desire to live a long life, if you desire to see your children grow up, to be around when your grandkids come along and so forth, make the change today. The people who matter the most to you are counting on you to live your life to its fullest, to make the hard healthy choices today so you can be there for them tomorrow. Choose today.